Capability-Based Computer Systems focuses on computer programs and their capabilities. The text first elaborates capability- and object-based system concepts, including capability-based systems, object-based approach, and summary. The book then describes early descriptor architectures and explains the Burroughs B5000, Rice University Computer, and Basic Language Machine. 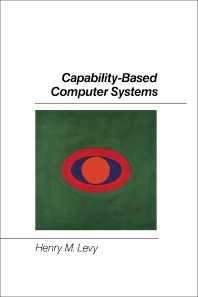 The text also focuses on early capability architectures. Dennis and Van Horn's Supervisor; CAL-TSS System; MIT PDP-1 Timesharing System; and Chicago Magic Number Machine are discussed. The book then describes Plessey System 250, Cambridge CAP Computer, and Hydra System. The selection also discusses STAROS System and IBM System/38. STAROS object support and abstract type management, as well as IBM System/38 profiles and authority and programs/procedures, are described. The book highlights Intel iAPX 432, and then considers segment and objects, program execution, storage resources, and abstraction support. Problems related with capability-based architectures are also noted. The text is a good source for readers wanting to study computer programming.